Computex held for the 25th time and being one of the biggest computer exhibitions in the world attracts the attention of computer press from all over the world. This exhibition is one of the places to visit obligatory, like CeBIT, for instance. Manufacturing companies annually announce and show new processors, video cards, mother boards and other components, and that is what Computex is famous for. Editions specializing on mobile subjects exclusively usually pass it by and highlight only 3GSM congress and CeBIT. And that is in vain, since many interesting devices oriented on the end user are announced at the exhibition (smartphones, PDAs, MP3 players, media-players and so on). As our readers know, we annually visit 3GSM congress and CeBIT. And this year we managed to attend Computex in Taipei, Taiwan. Many things that an ordinary user won't know are told behind the closed doors or at the company meetings after an exhibition. That is Taiwan that the main manufacture of components and end-devices is concentrated, and head offices of the companies are also here in Taipei. 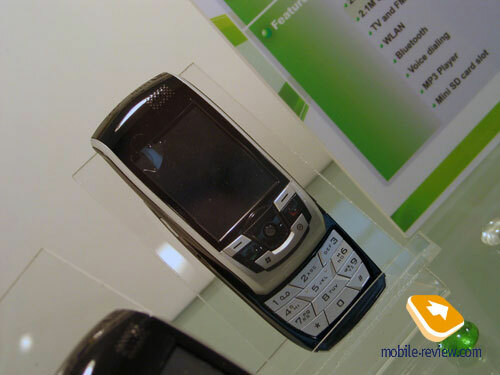 This report will tell about the smartphones shown at Computex 2005. 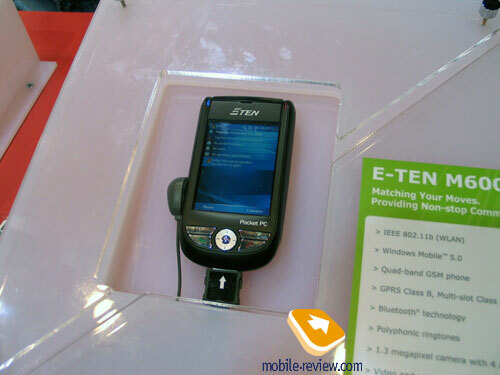 A new smartphone by E-Ten, the E-Ten M600, is quite interesting. 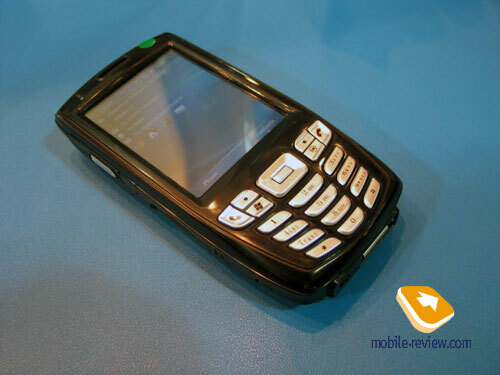 Visually, it is a complete copy of the previous model E-Ten M500 (here is the review on our site). Though, body colour is black, the design and materials remained the same. The company tells the commercial version will be available in several colour solutions, but not only black. We failed to specify the precise colours. So, let's tell about the changes that distinguish this model from the previous one. First, that is an integrated Wi-Fi (IEEE 802.11b) module. Sooner or later, all the smartphones/communicators will acquire such a module. That is one of the main tendencies on the market, since the companies react on widening prevalence of access points and IP telephony. 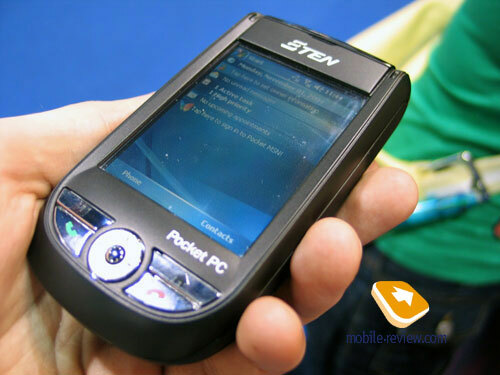 The software for E-Ten M600 will include VoIP applications. Everything concerning Bluetooth and GSM/GPRS won't change. The company keeps on using Windows Mobile stack and personal addition to it as Bluetooth drivers. On the question "Why Broadcom's drivers are not used" the company answers "extra license expenditures increase the price of the end-device (the model is positioned as a relatively cheap smartphone), and Microsoft drivers functionality grows, and with time they won't give way even to Broadcom's". 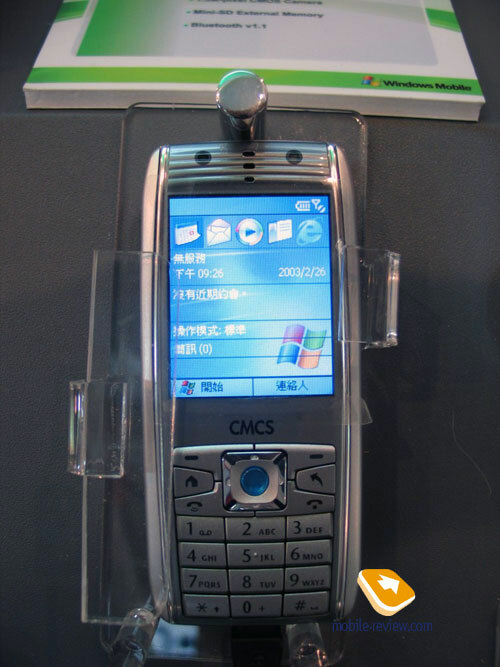 Second, a new Windows Mobile 5.0 version. Now no updates for the previous model are planned. Third, the megapixel camera quality is improved. We'll check during our tests how greatly it increased. We hope to get a test example before setting out to Russia, since we have a preliminary agreement for that. We were really pleased to know the company leaders regularly read Mobile-review.com. One more new device based on Windows Mobile 5.0 is deprived attention undeservedly. That is a keyboard model AnexTEK MoboDA 3360 (MoboDA subbrand, evidently, stands for / Mobile Digital Assistant, another famous model index is AnexTEK SP300, which is seen in the communicator's settings). The CPU is Intel XScale PXA272 with the max clock rate of 520 MHz. That is interesting the same processor was planned for Asus MyPal p505. In the end, it was refused, or rather, the processor remained the same but with the max clock rate of 416 MHz, but not 520 MHz. 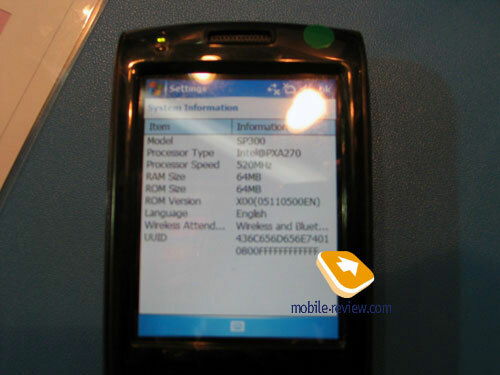 RAM forms 64 MB, which is typical of this class smartphone. 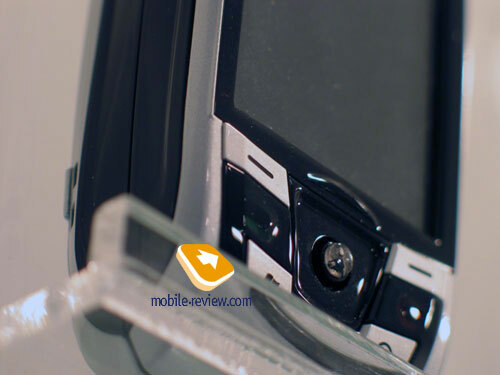 The device follows the last tendency considering the screen, the tendency of decreasing the diagonal from 3.5" to 2.8". Other characteristics are typical; they are the 320x240 pixels resolution, 65K. 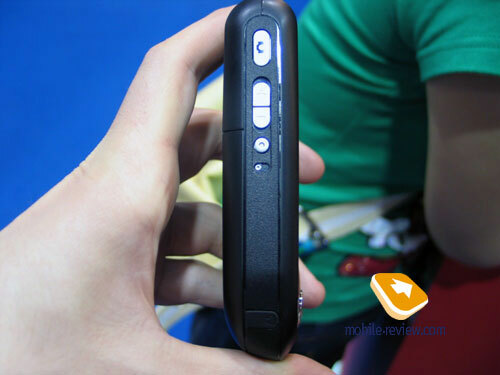 Wireless part of the device is of interest, which is GSM trial band, GPRS class 10, Bluetooth version 1.2. And Wi-Fi version is IEEE 802.11b/g, before we saw only the b version in devices. Low energy consumption of Wi-Fi is emphasized. 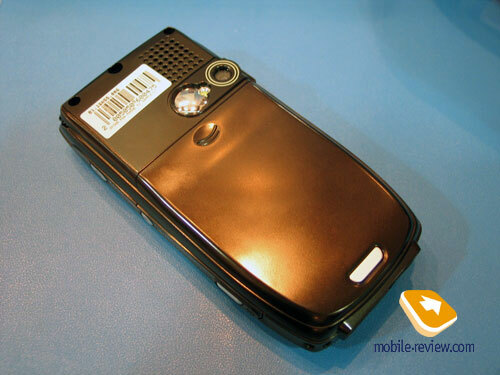 The megapixel camera has a flash and can record video. SD/MMC connector supports SDIO, which means various peripheral devices may be connected via it, for instance, a satellite GPS receiver for navigation. A removable battery is 1300 mAh. Black colour is in fashion for the last time and like the E-Ten M500 the model was in a black body. The plastic is smooth to touch and cheap at sight. A more expensive body could have been done for this not a cheap smartphone. The body design is a candy bar. 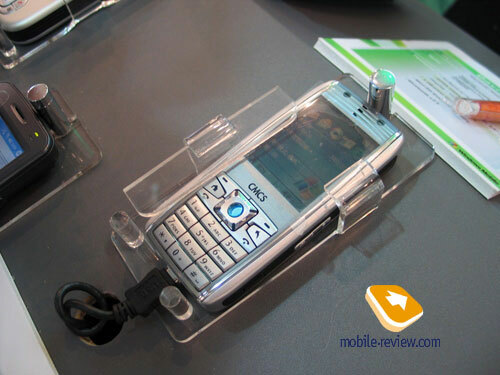 A usual number keypad is placed under the screen, though there is enough room for integrating a Palm Treo 650 like keypad. The keys are large and comfortable. The model is hard to call a small one, the dimensions are - 123 x 61.5 x 23 (22 in its thin part), it weighs - 150 g (120g without a battery). The model is interesting, and it fits the main tendencies of the branch (screen decrease, wireless possibilities widening, and new version of the operation system). However, the assembly quality, the plastic and a number keypad instead of a QWERTY one raises doubts in the fact the model will be popular. 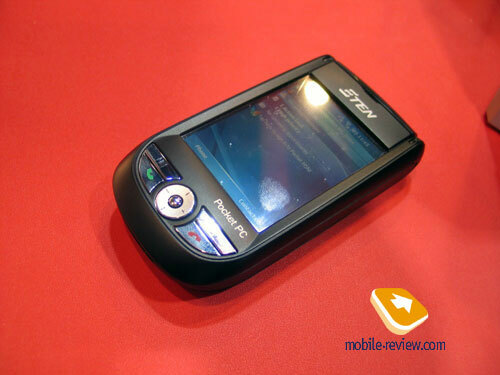 We find it interesting to tell about a smartphone by Gigabyte. Earlier it was known as gSmart and now got the name of Einstein, which is to symbolize technical innovations in the device ("as smart as Einstein"). Here we deal with a so called paper release, when a company finds it more important to announce something before the rivals than to show a real product. Now the Einstein is not more than the company's plans, and only a plastic box but not a working prototype was shown at the exhibition. That's amazing, at the sight of the Gigabyte model and its specifications, we instantly remembered the coming smartphone model by Asus, still not announced. The Einstein copies it in many things. But after the announcement of the Asus smartphone, the situation will turn as if Asus had copied the Einstein's idea. I won't affirm Gigabyte has just copied the specs, but just have a look at the comparison table (the Asus MyPal p515 specs are published for the first time). It's hard not to notice the similarity of the specs. The design is also alike. No official comments were given by Asus, unofficially, they say there is no connection between the devices (that means Asus doesn't develop a smartphone for Gigabyte), and a Gigabyte's product will remain on the paper for a long time. So, the goal was to announce the product before Asus. 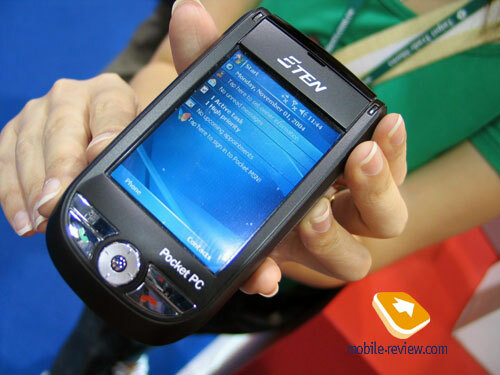 Asus demonstrated its Asus MyPal p505 once again; the device is presented in the Taiwanese retail for relatively long. According to the local sellers the device is poorly sold. And the model still haven't reached the European market, the company finishes the software for the device. 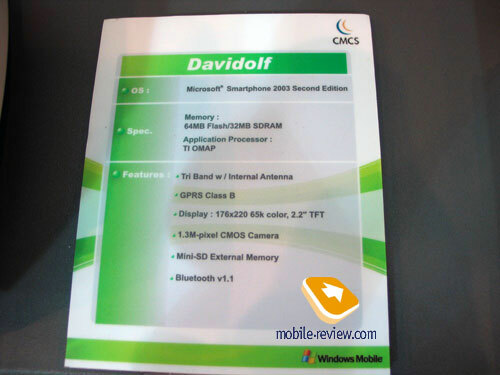 The next model of the report is the Davidolf by CMCS (Chi Mei Communications Systems). Its lot is the following. 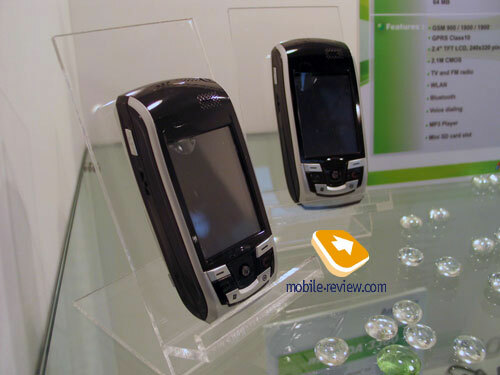 Chi Mei is a former ODM-partner of Motorola in manufacturing smartphones, this very company is responsible for such models as the Motorola Px200/MPx220. 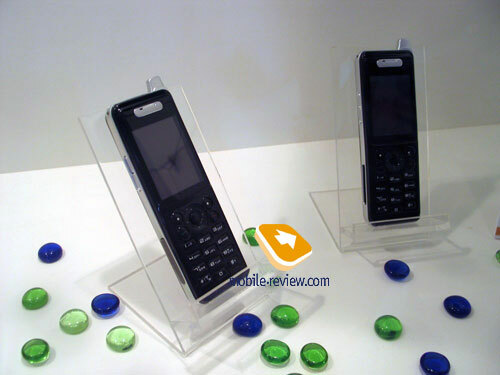 Motorola announced the Motorola MPx100 (a version of the MPx220 clamshell in the classic form-factor), many months later the model was cancelled, and Motorola broke the relations with Chi Mei. Smartphones were to develop by its own strength. Now CMCS tries to sell the development that has not still found a use to other companies/operators (the design is changed with no internal changes). The company tries to implement the same scheme as HTC follows with operators and other companies. 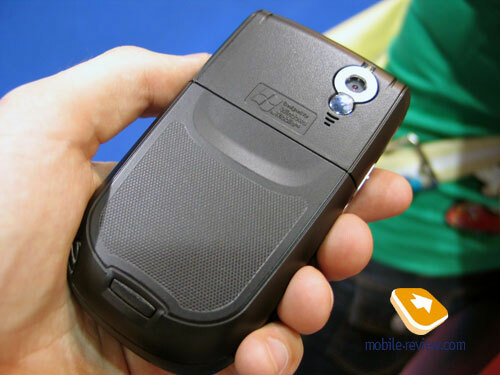 The future of the model is dubious, the model is technically outdated and still has problems common with the Motorola MPx220 (a camera, battery life). The model gets useless. 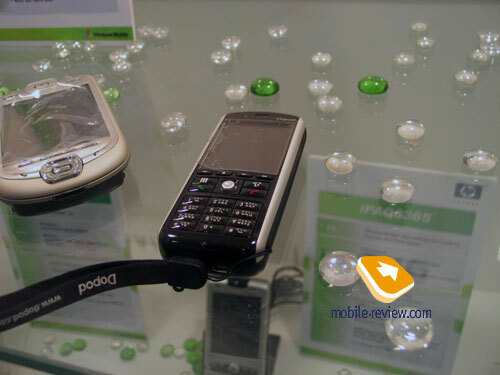 Several IP phones were represented at the exhibition, we'll tell about one of the models. 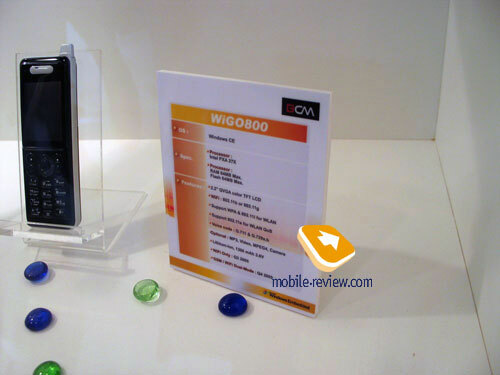 That is the BCM WiGO800, VoIP device based on Windows CE. 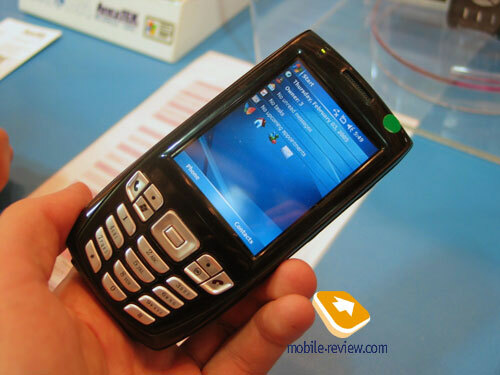 The CPU is Intel PXA27x, 64 MB of RAM, 2.2" QVGA screen, Wi-Fi (IEEE 802.11b/g), integrated camera, 1300 mAh battery. 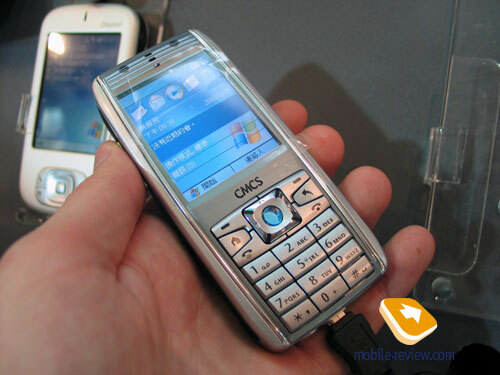 Only a Wi-Fi model is planned for the third quarter of 2005, later in the fourth quarter a GSM and Wi-Fi one will appear. And nevertheless, that is more a phone than a smartphone (the number of third party programs will be minimal). The Mio A701 by MiTAC is worth telling about. 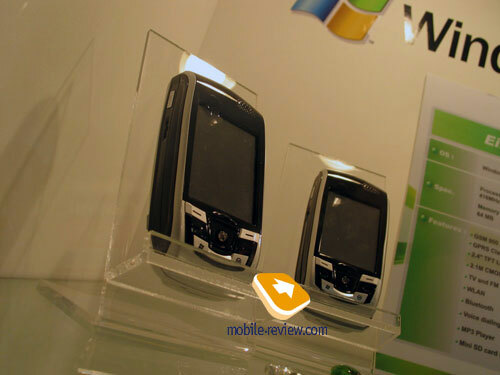 Earlier we supposed that is a commercial name of the Kestrel project, but really it turned to be a separate and surprisingly interesting Windows Mobile based product, the release of the model is planned for September 2005. 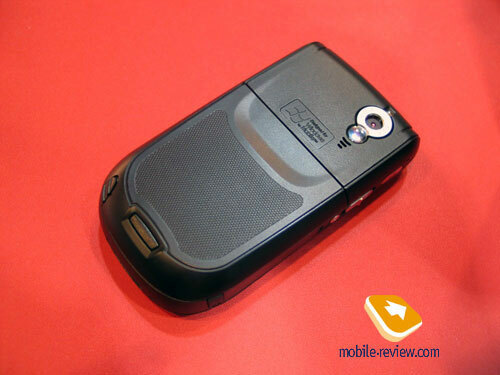 To understand what the Mio A701 is you need to imagine the HTC Magician in a bit bigger body with an integrated GPS receiver. The model may be very successful if it is launched at the time and the price is acceptable. Now, drawing a line under the story about the smartphones I'd like to stress the main tendencies. First, that is using a new operating system Windows Mobile 5.0, the prevalence of black colour solutions, screen diagonal decreased to 2.8" and, of course, wireless Wi-Fi modules.